Welcome to Borgmanns Add 1! 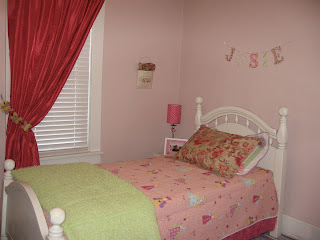 : Introducing Josie's Room! It was so fun to actually buy some pink and go "girly"! Now, anyone that knows me, knows that I am not a "girly girl" and much prefer sports to frill but I have to admit.......it was fun to shop for girl things!! 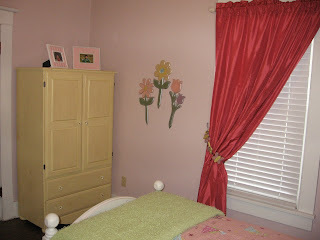 We are not done with the ceiling yet but I wanted to take some pictures to send to her so she can see her new room. I hope she likes it! Please continue to pray for Josie and our entire family. This is getting more real every day and I want to make sure we are doing everything possible to prepare for her. 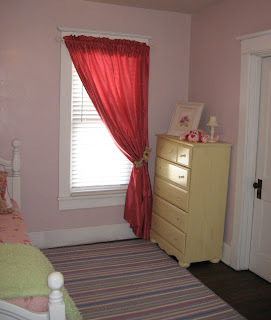 Feel free to leave a comment and let me know what you think of our first girl room!! That is so cute! I love the name above her bed and the pictures of her. Good job! An Update and New Photos! "Cabled" and a New Puppy!